All riders are very familiar with the problem of rapid deterioration of the equestrian accessories. While riding clothing like boots, breeches , helmet , and also frock coats or shirts are not a big problem that our horses are able to with unprecedented cyclical spoil your equipment. Mass rubbing or rolling is often the rugs. Many practicing horsemanship is forced them immediately in connection with the change to a new one. The same situation applies to the issue of fenders. This matter is very familiar with jumping fans. Just that the horse only a few times more smacks on the railing barriers and protectors are suitable only to be thrown away in the trash. A large number of riders from the autopsy also knows the problem with piercing rugs by hanging loosely stirrups, usually when mounting and dismounting the horse’s back. Therefore, rather it is important to choose only proven, high-quality riding equipment. In the catalogs of many manufacturers can be found even protectors for horses of carbon fiber, which is considered extremely resistant material. A prime example of this type of protector is a product of Veredus (Carbon Gel , Gel Carbon Vento). Much harder to take care of textile equipment , since we can not avoid the devastating tendency of different horses. 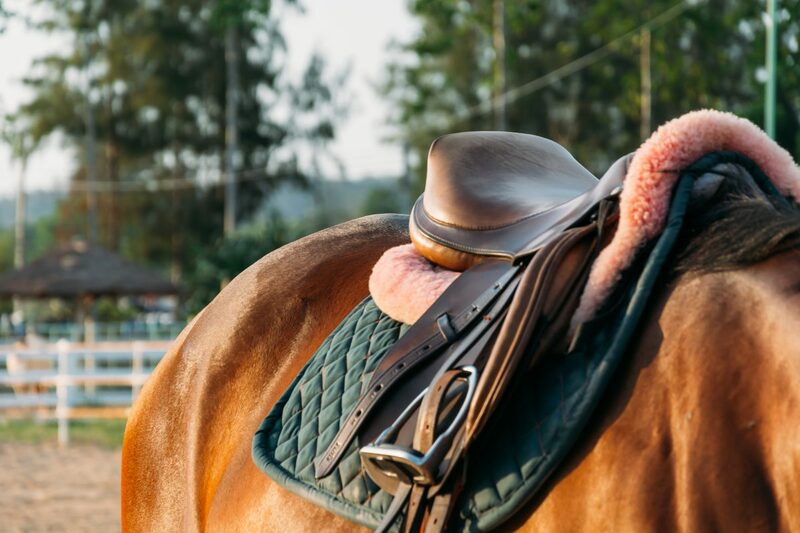 The equipment is made of synthetic materials is certainly more resistant to damage, although it may be far too little comfortable for the horse (eg can not ventilate). We can always reduce risk and extend the life of rugs and caparisons by attracting those with a heavier weight, and that some may be surprised – by selecting the appropriate stirrups. Manufacturer of accessories and saddles Prestige Italia riders recently presented modern stirrups Stephi , which are inclined at a slight angle and protruding from the back of a horse and preventing the destruction of blankets or mantle material . In uwiązach problem is noted mainly in horses living, which damage the hook. It would therefore look for something in particular in catalogs ESKADRON company, which offers several types of fasteners, so-called. Panic Hook or Swivel Hook. Next Post How to choose breeches?